Do I Cover a Chicken When Cooking It? 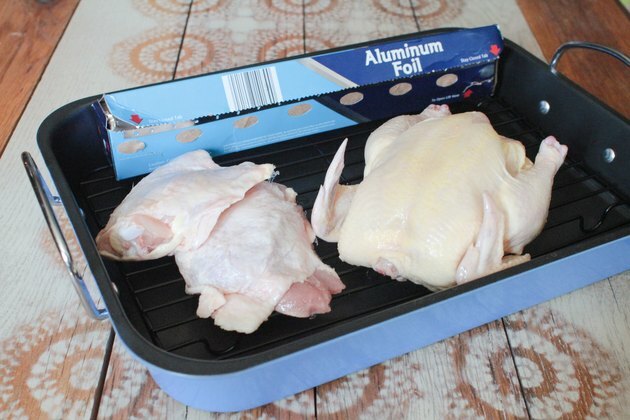 Whether to cover a chicken during cooking depends entirely on your chosen cooking method and your goal. If you want chicken with a crispy golden-brown crust, choose uncovered methods, such as roasting or sauteing. For tender, slow-cooked chicken without a crust, choose braising, simmering or slow cooking -- all covered methods of cooking. Roasting is a technique that relies on high heat to create a crispy golden skin and tender, juicy meat. 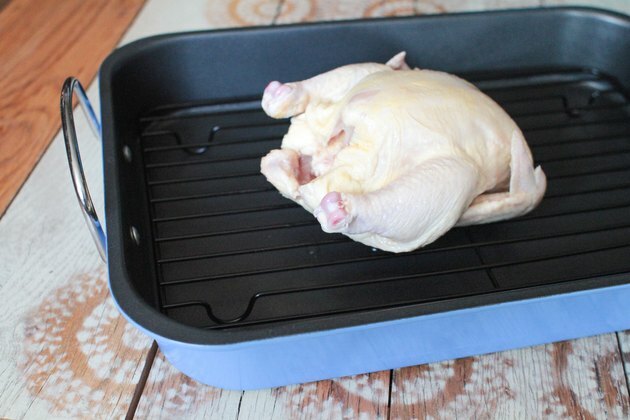 To roast chicken, cook it in a heavy roasting pan at 450 degrees Fahrenheit. Do not cover the chicken to roast it. Covering the chicken will prevent browning and create a moist, soft skin instead. Roasting works best for whole chicken and can dry out cut chicken pieces or boneless chicken breasts. Select a fresh, plump chicken for roasting and dry it thoroughly with a paper towel. Salt and pepper it liberally and stuff it with onions, celery, lemons or garlic if you like. Rub the skin with butter to enhance the golden crust. 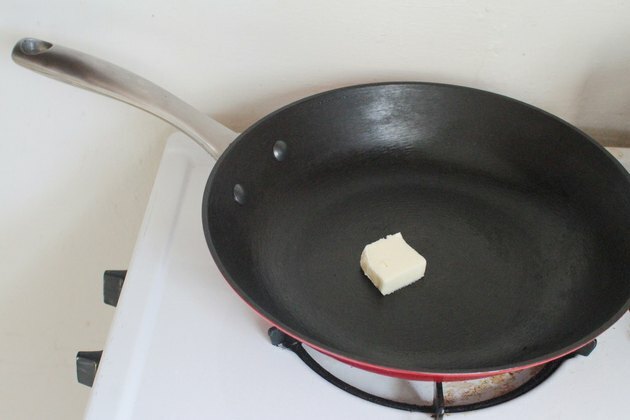 To saute chicken, melt a small amount of butter or oil in a large skillet over medium-high heat. Add cut pieces of chicken or boneless chicken breasts to the pan, spacing them at least 1 inch apart. Do not cover the chicken, which creates steam. The goal of sauteing is to cook the meat quickly and create a golden brown crust. Steaming the chicken slows cooking and prevents the crust from forming. A lid is required for slow-cooking methods, such as braising, poaching or cooking in a slow cooker, in which the chicken is slowly cooked in wine, water, marinade or chicken broth. Covering the chicken with a lid creates steam for a tender, flavorful dish. Occasionally, braised or slow-cooked chicken dishes are browned first in a skillet and then added to the liquid for cooking. 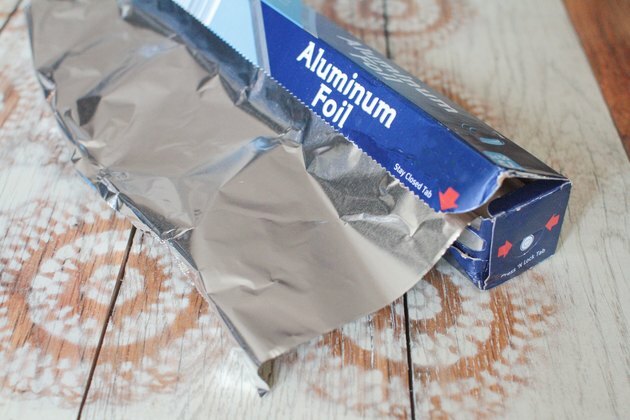 When baking chicken, cover the chicken with aluminum foil for the first 30 minutes of cooking to prevent dryness and overcooking. Uncover the chicken during the last 10 to 15 minutes to brown it. Bake cut chicken or boneless chicken breasts that would dry out if roasted. Bake breaded chicken dishes, such as chicken cordon bleu or pecan chicken.